I read this book a couple of weeks ago. I think I got it while browsing the monthly kindle sale and I'm so glad I downloaded it! I am pretty interested in reading Holocaust memoirs and this one was a little different than others I had read. The author, Michael Good, recounts his parents' experiences during WWII and what they did to survive the Holocaust. After taking a family trip to Lithuania and learning more about the Nazi officer (Major Plagge) his mother said was the man who saved her life during the Holocaust, Good begins researching to found out more about him. I think I liked this book so much because it did a good job of telling the stories of Holocaust survivors as well as a good job of explaining Good's research process. 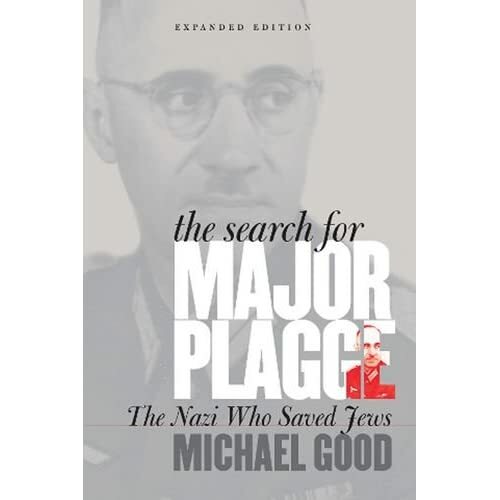 As an historian, I was really interested in learning what avenues he explored to find out more about Major Plagge. As an archivist, it was interesting to learn about the state of the actual documents and to read a little about how they had been preserved over the years. Anywayyyy... history nerd moment over. You should read this book. It was both interesting and engaging.